Today we are lucky enough to announce a second giveaway this month with another amazing online t-shirt and clothing store, you may have seen the brand before but first we are privelidged to introduce to you all Wreckage Clothing and their streetwear line. WReckage have recently launched their own Wreckage Clothing emailing newsletter, sign up today to stay in touch with all things Wreckage! STREET WEAR BRAND. A LITTLE OLD SCHOOL MIXED WITH THE NEW SCHOOL, BUT 100% ORIGINAL. Find the full compliment of the Wreckage Online Clothing Store Here. Here we showcase a number of the new wreckage designs and one or two of the old classics, don’t forget to check out the online store today! 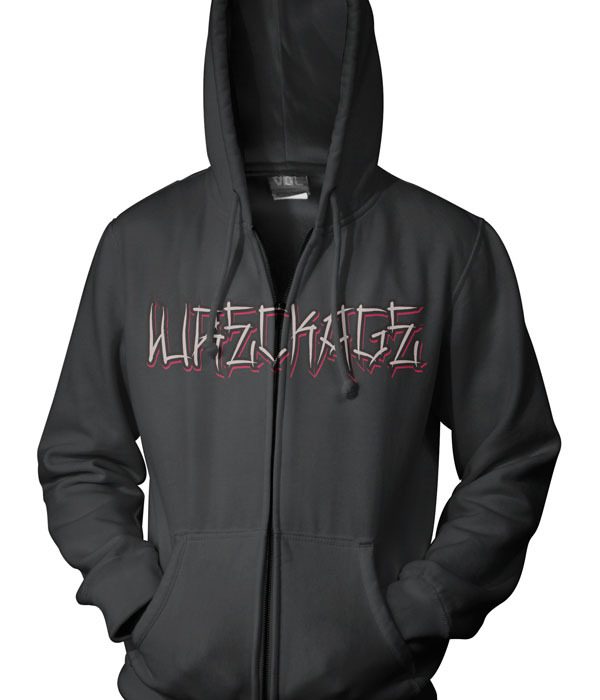 Their hoodies are a recent addition to the Wreckage family, and are becoming increasingly popular, so don’t forget to grab yours today while you can. 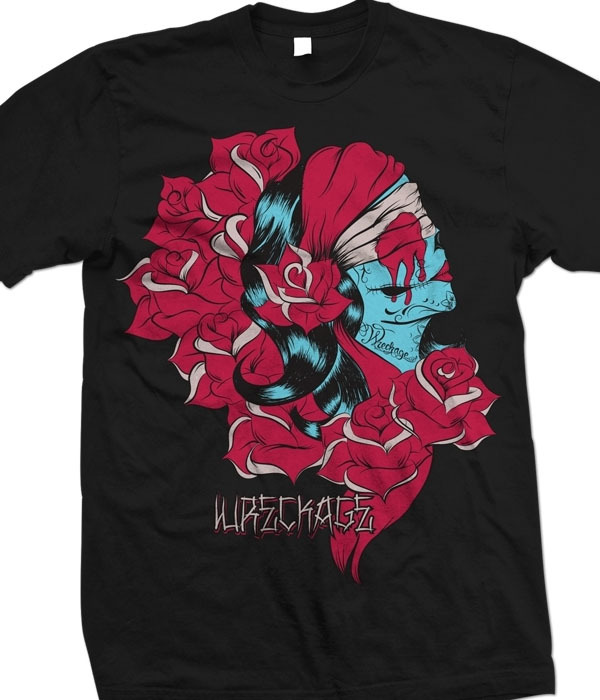 Also new are the Crow and Gypsy t-shirt designs, as well as the Zombie Girl Skate Deck. We are lucky enough to be able not one but Two Wreckage T-shirts, for the two lucky winners of this giveaway. One t-shirt will go to a winner located in the UK and one to a North American Winner. Become a Fan of Both Wreckage Clothing and Nenuno Creative on Facebook. You’ve got until Midnight on the 19th of December to get your entries in. All entrants will be monitored from the names added to the Wreckage Clothing Email List. You can follow Wreckage Clothing @wreckageclothin on Twitter. Become a Fan of Wreckage Clothing. Become a Fan of Nenuno Creative. Join the Wreckage Clothing Email List. Comment on this post ‘Wreckage Clothing Rocks’ or on the Facebook Page. Commenting on our Facebook Page counts as an entry. Tweets are optional, but count as a second entry to winning one of two t-shirts. Two T-shirts are available to win. One UK winner and one North American winner. Two lucky winners chosen by random number selection of the comments. Giveaway closes at Midnight on the 19th of December 2010. Winners will be contacted and expected to reply within 5 days of winners being announced on 21st December. thanks for the entry ann! These are some pretty sweet looking designs! Hope I win!! thanks david, i’m a big fan of the new artworks. Got a favourite? I love the Gypsy design and the Venom Green ones. We’ve promoted across all our social media accounts. Enter me. Promoted your giveaway. Great Job! That’s my impression on wreckage clothing , you’ve got all those epic designs which is phenomenal! thanks james for the entry your in the running for one of the two tshirts, why not spread the word of the giveaway to your friends! Wreckage Clothing Rocks! Happy Holidays! thanks for the entry! You could be in it to win it! 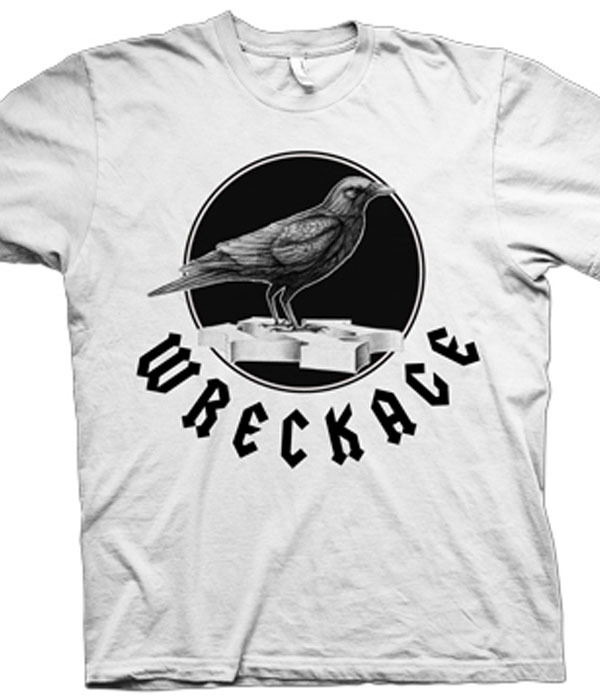 “Wreckage Clothing Rocks!” is not just a mere slogan. It really does. I am eager to get one.